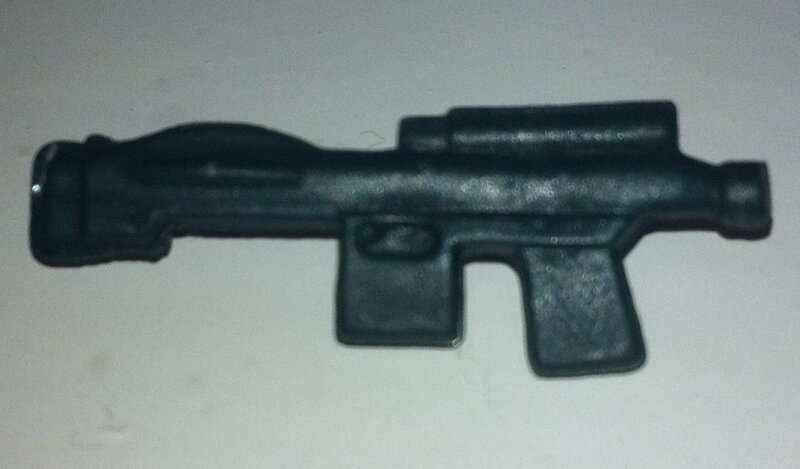 I having problem identifing this imperial blaster, can anyone help? 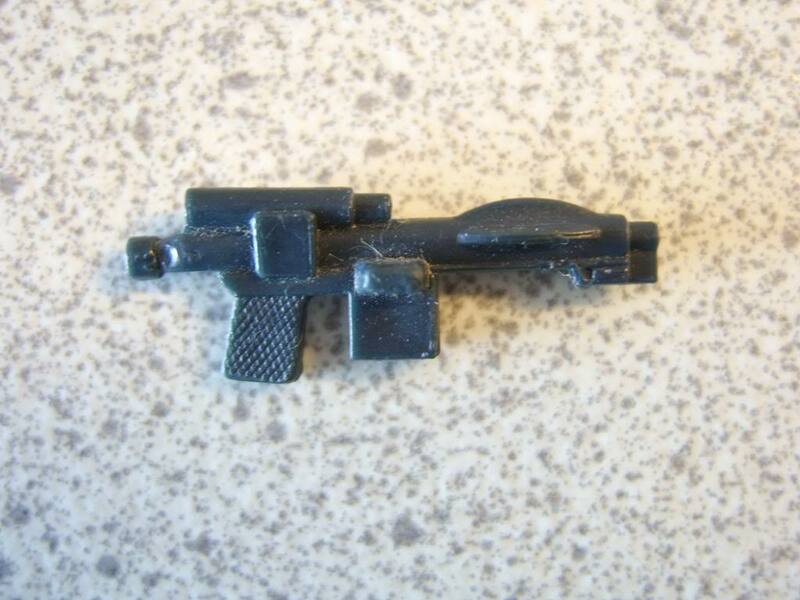 Purchased in the UK with a load of other vintage weapons, has alot of flashing on one end. It looks like a poorly cast V5. Have you tried the float & drop tests to rule out the possibility it might be repro? On a side note, it may be worth asking a mod to move this thread here: http://www.imperialgunneryforum.com/t1077-which-imperial-blaster, as they are related topics. It passes the water test, so maybe a badly cast v5? Saying that my handle doesn't have as much detail as your photos AJ. None of the details on your example are sharp, which is why I think it was poorly cast (that & the extra flashing). It would be interesting to see whether other members have similar examples. Is any one else thinking that this could be repo? It has flashing, the detail is faint and looks different anyways if you ask me, look at the circle and line at the end of the barrel, also the handle pattern on the one James has posted. It's an interesting marking. I checked mine and there was nothing even close to that. Hang on to it anyway and hopefully some others will crop up eventually. 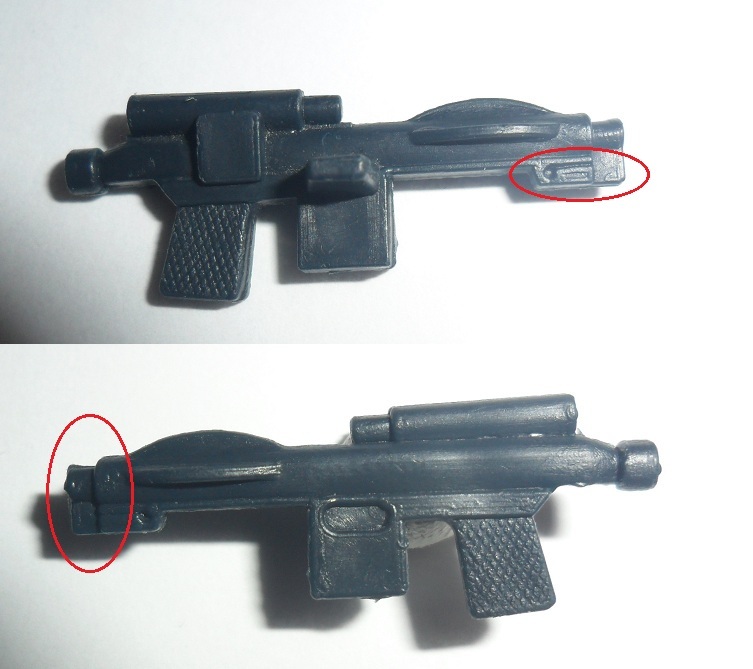 I'd say that blaster looks fine and the marks are just damage done after it left the mold, the extra line could also be some type of cooling error or short shot type error? 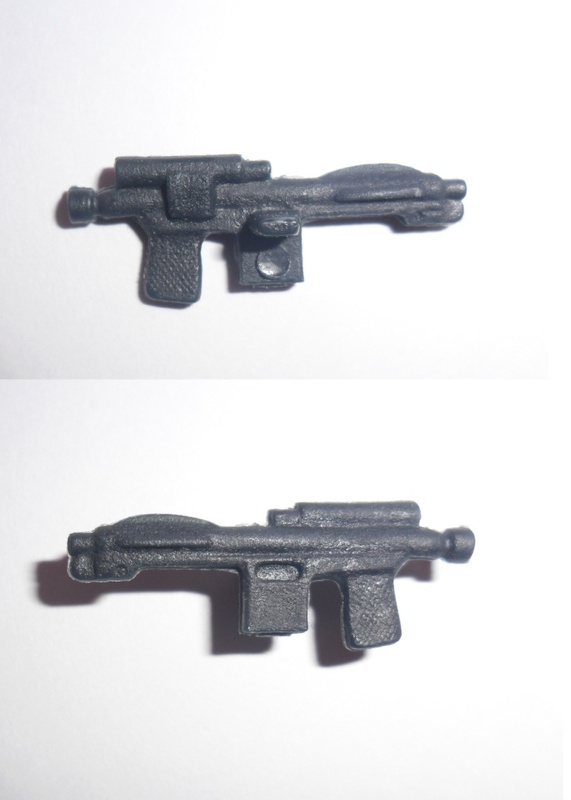 This variation of the Imperial Blaster is gritty in appearance and can also feature a circle on the bottom clip cast. 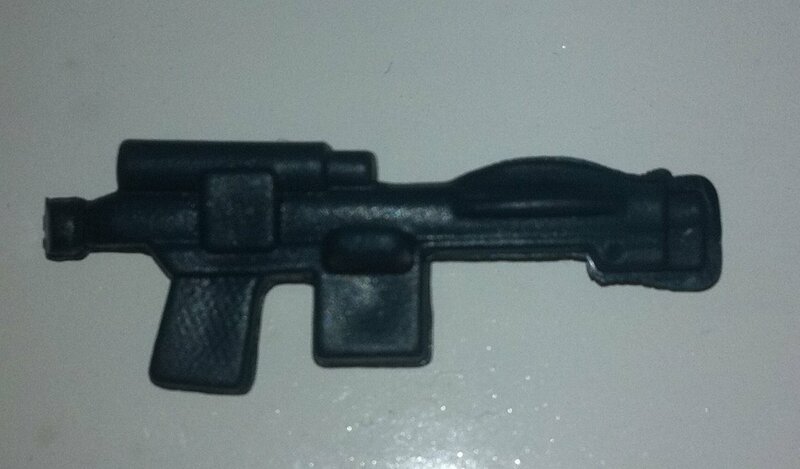 Note the circle on the clip can also vary from flush to indented to no circle persent. I'd like to add that the circle on the clip of my example below is neither flush, nor indented, It is positively raised! Subject: Re: Imperial Blaster Help?